SYDNEY – Asian shares slipped on Thursday after Wall Street suffered a mild setback after weeks of gains, while the dollar faded against the yen in typical year-end profit taking. 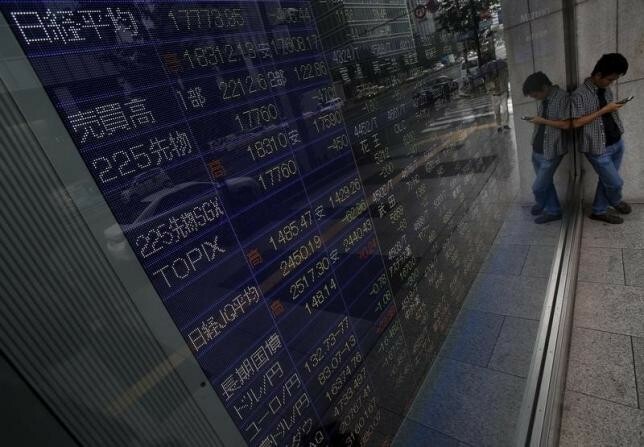 Japan’s Nikkei lost 1 percent as the yen firmed, edging away from its recent one-year top. Australia’s main index eased 0.1 percent, having touched a 17-month peak the previous day. Moves were modest across the region with MSCI’s broadest index of Asia-Pacific shares outside Japan off just 0.05 percent. The pullback on Wall Street came amid light volumes and likely reflected caution about what the New Year might bring, given Wednesday was the first session when trades actually settle in January. The Dow fell 0.56 percent, while the S&P 500 lost 0.84 percent and the Nasdaq 0.89 percent. Boeing fell 0.9 percent after Delta Air Lines cancelled a $4-billion order for 18 Dreamliner aircraft. Technology was the largest weight on major indexes, with Nvidia down 6.9 percent after short seller Citron Research said the market was overlooking the headwinds for the stock – which had earlier touched a record high. Weak home sales data were blamed for some of the selling, though normally this series barely gets a mention in markets. Contracts to buy previously-owned US homes fell in November to their lowest level in nearly a year, a hint of how rising mortgage rates could weigh on the housing market. US bonds made a rare rally s the soft report combined with surprisingly strong demand for a sale of new five-year Treasury notes. Yields on 10-year paper fell to their lowest levels in two weeks to around 2.497 percent. Yet euro zone yields were also falling on concerns about the strength of a rescue plan for Italian banks and normal year-end caution. Germany’s 10-year yields hit their lowest in seven weeks at 0.181 percent, while their discount to Treasury yields reached the widest on record. The ever-widening yield gap kept the euro retrained around $1.0435, after touching an eight-session trough of $1.0372. Sterling was also soft at $1.2233 after hitting its lowest in two months. The dollar eased 0.5 percent on the yen to 116.75, but was still up 12 percent over the past two months.